Patricia M. Giordano, a Philadelphia trial attorney with Feldman Shepherd Wohlgelernter Tanner Weinstock Dodig LLP, spoke at the New Jersey Association for Justice’s (NJAJ) Boardwalk Seminar 2011. Giordano addressed “The Dreaded Expert: Doing Your Homework Before the Deposition” during the two-day seminar at Bally’s Atlantic City. As part of the in-depth educational lectures on trial strategies and litigation techniques, Giordano discussed how to thoroughly prepare for depositions. Her presentation was included in the seminar’s Medical Malpractice 2011 programming where participants earned multiple substantive and ethics credits. With extensive litigation experience in the Philadelphia region and Southern and Central New Jersey, Giordano counsels and represents individuals in complex litigation, including catastrophic injuries, medical malpractice and pharmaceutical errors. 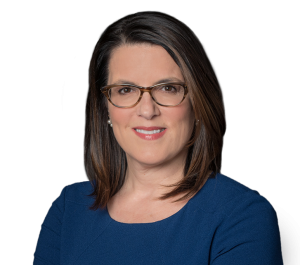 She appears on behalf of clients in various trial courts and has authored and argued numerous appellate briefs before the Pennsylvania Superior and Commonwealth courts. Giordano was appointed to the NJAJ Board of Governors in 2011 and serves as Co-Chair of the organization’s Women Lawyers Caucus. In addition to the NJAJ, Giordano is a member of the Philadelphia and Camden County Bar Associations and the Philadelphia Trial Lawyers Association. Giordano is a graduate of the New England School of Law, where she received the Student Bar Association Outstanding Achievement Award. For nearly 10 years, she served as Chairperson of the Camden County Child Placement Review Board, a group of community volunteers who provide recommendations to the court regarding the placement of children taken out of the home and termination of parental rights. She also serves as a mentor for local high school and college students considering a career in law through programs like the Philadelphia Bar Association Advanced Civics Education (A.C.E.) program. A.C.E. provides supplemental civics education to ninth grade public school students in areas such as fundamental principles of citizenship, democracy and dispute resolution.